Showing our jewels on board, with the passengers modeling the designs! 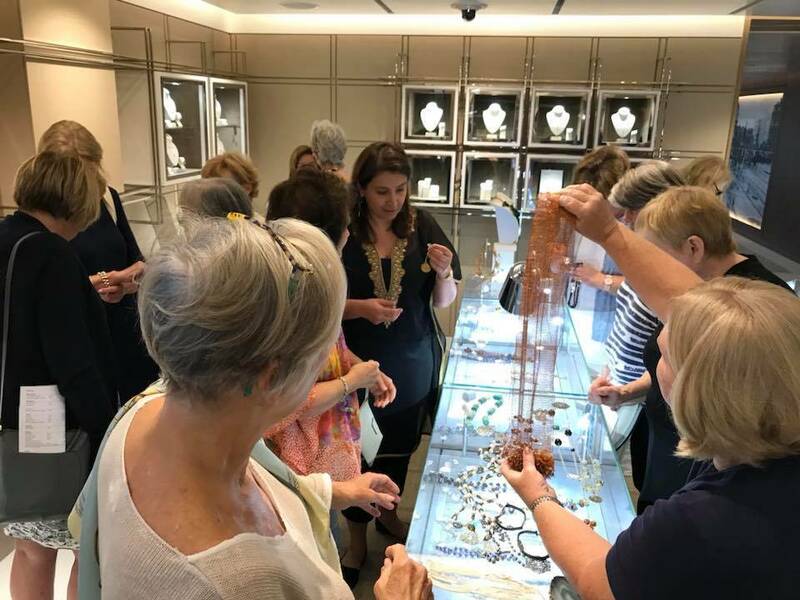 We were delighted to showcase our jewels during the World Cruise 2018, as the Viking Sun sailed from Muscat to Greenwich. As an added attraction, we invited some of the passengers to showcase our jewels in a Fashion Show on board, to show how the jewels were worn! The ladies chose what they wanted to wear in terms of clothes and we suggested what they should wear in terms of jewels. The function before as well as the actual fashion show were tremendous fun! Thank you to all the ladies!